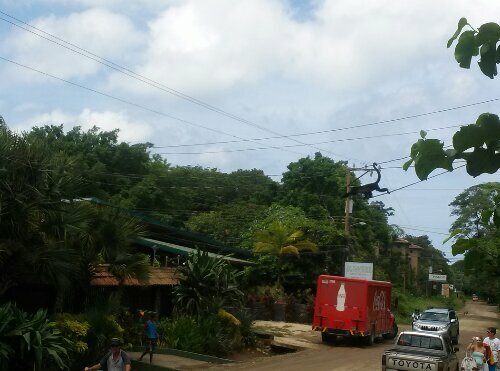 Our second day in Tamarindo, last Friday, we were walking down the road and saw some activity on the power lines. 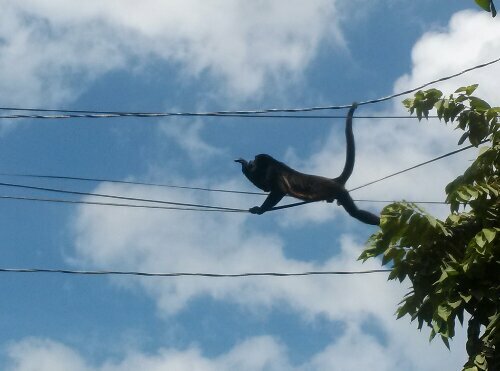 It was a group of Howler Monkeys taking turns crossing on the lines. Some had babies on their backs. 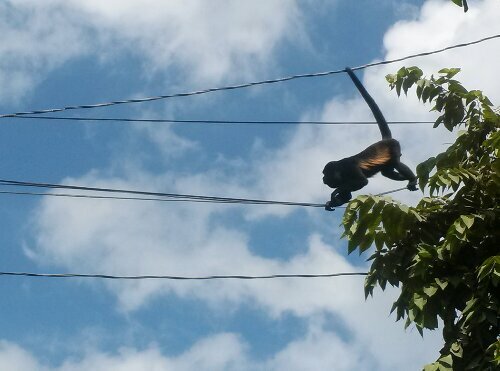 It was the closest I have ever been to a monkey, outside of a zoo. 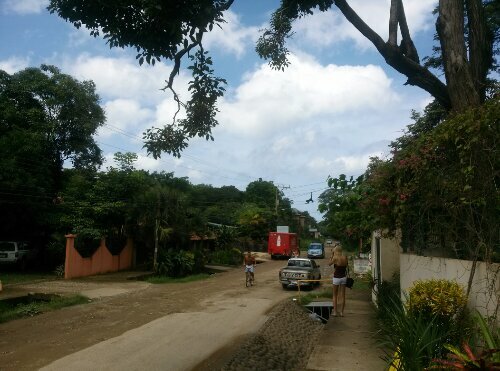 This entry was posted in Amazing Photos, Costa Rica, Photos, Travel and tagged animals, Costa Rica, Costa Rica 2013, Howler Monkeys, Monkeys, Nature, Photos, Tamarindo, Tamarindo Costa Rica, Travel. Bookmark the permalink.